Users will be able to scroll around live 360-degree video, but only select users can post it for now. Live video is everywhere these days, from live Instagram Stories to Facebook Live broadcasts. But now live video on Twitter really will be everywhere, because select partners will be able to broadcast live, interactive 360-degree videos. 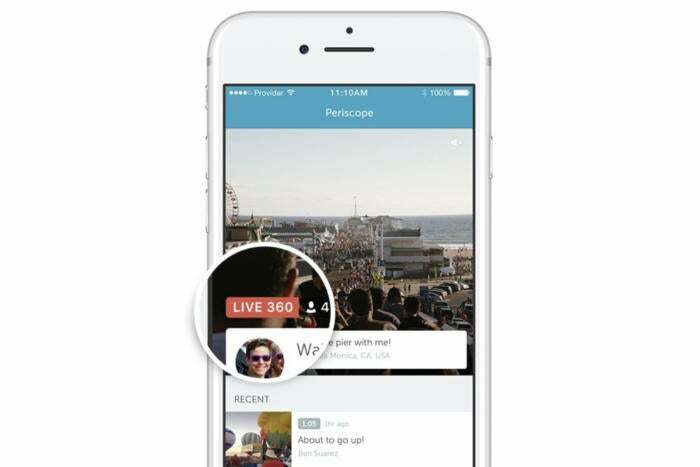 Twitter’s Periscope app already lets anyone push live video to their Twitter feed. Starting today, “selected partners” will be able to broadcast 360-degree video in Periscope, and users on Twitter will be able to interact with it. Look for a LIVE 360 badge on a tweet inside the Twitter app, or a video in the Periscope app, and you’ll be able to swipe the video or move your phone around to see more of the image. According to a blog post from Periscope, this feature is still being tested, which is why it isn’t open to everyone just yet. But that will change eventually, and if you’re interested in broadcasting your own 360-degree videos with Periscope, you can sign up for a waiting list.